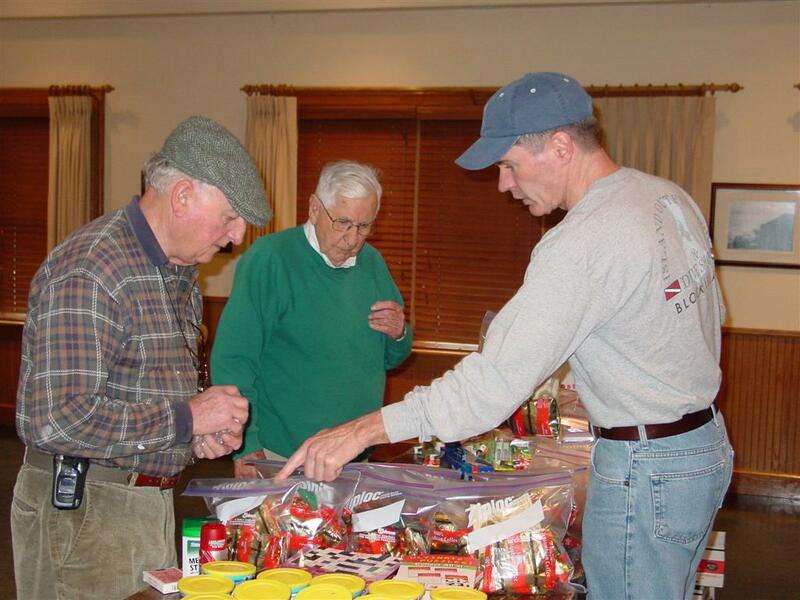 Packing for Iraq: Jim Mahoney, Frank Kirwin, and Kevin Friel, members of Division 1 of the Ancient Order of Hibernians, are shown in the above photo assembling ‘care’ packages for the Rhode Island National Guard members who are currently serving in Iraq. March 8, 2008 - Members of Division 1 of the Ancient Order of Hibernians in a cooperative effort with employees of National Grid, gathered on Saturday for another day of packing ‘care’ packages for the Rhode Island National Guard members who are serving in Iraq.This effort was coordinated by member, Ed Kane, a former Rogers High School ROTC instructor. The packages contain books, toiletries, coffee, and snacks. Another shipment is scheduled for early September.